It’s hard to tell when you start the truck in the predawn blackness what kind of a day it’s going to be. Hopefully you have an idea of the current conditions and what the birds have been doing. 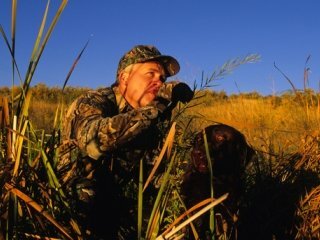 There are a lot of variables that go into a successful bird hunt. The difference between scraping out a few birds or limiting out four hunters can be the matter of a couple hours or a few miles per hour of wind speed. Perhaps talking about the perfect conditions is quicker than discussing a hundred variables that can affect your day. Steady wind – more wind is better up to a point just short of gale force winds. Perfect weather varies. I like unsteady weather patterns with rain or snow showers. In some areas they pray for clear skies and wind. Given that these conditions always occur at some point during the season and are somewhat predictable, the hunter who has a flexible hunting schedule can take advantage of good conditions when they come. The hunter who is tied to Saturday hunting only will have less opportunity at the truly great hunting days. Hunters with flexibility and a good knowledge of prime conditions in their area stand to put the days together and have great seasons!